I'm a christian and a man full of truth and understanding. 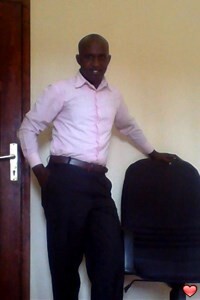 I live in Kigali, the capital city of Rwanda, East Africa. I think I'm intelligent and I value every one and everything since I believe that everything happens for a specific reason. Through my experience left by the genocide that occurred in my country Rwanda in the year 1994, I now witness the power of God and His existence. I am now seeking for a woman with a Christianity back ground and Godly character and who will accept me for who I am.